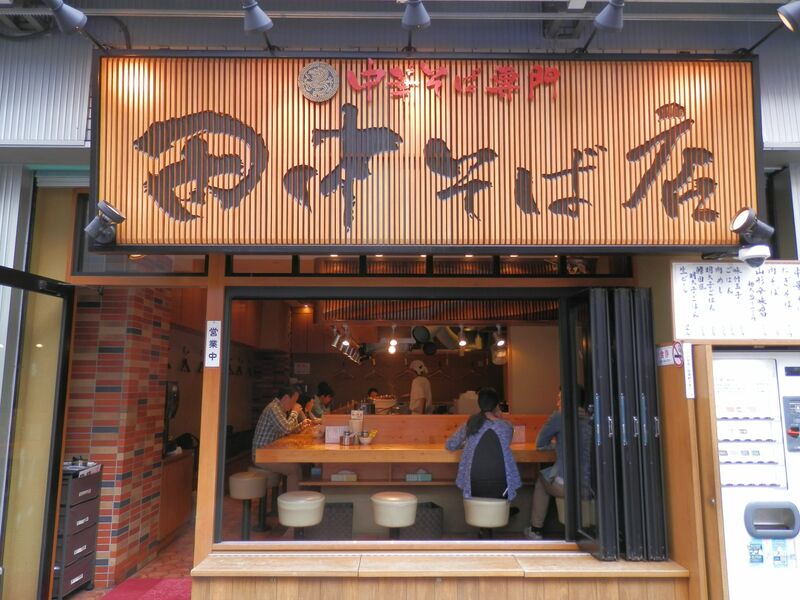 Today, I waent to “Tanaka Sobaten Akihabaraten” which was famous for serving delicious pork loin fillet. 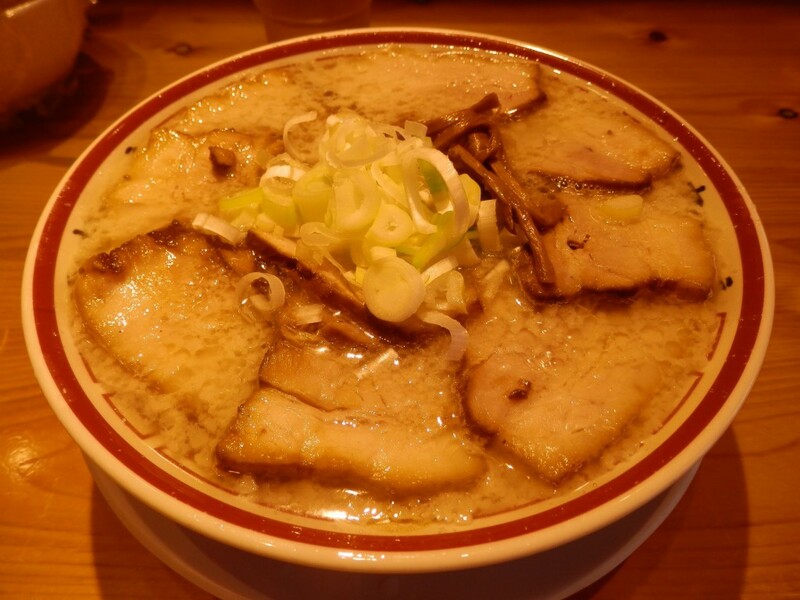 It was located 10 minutes walk from Akihabara station. I arrived there at 11:06 a.m.,6 minutes past opening time. The restaurant was less than half full at that time. 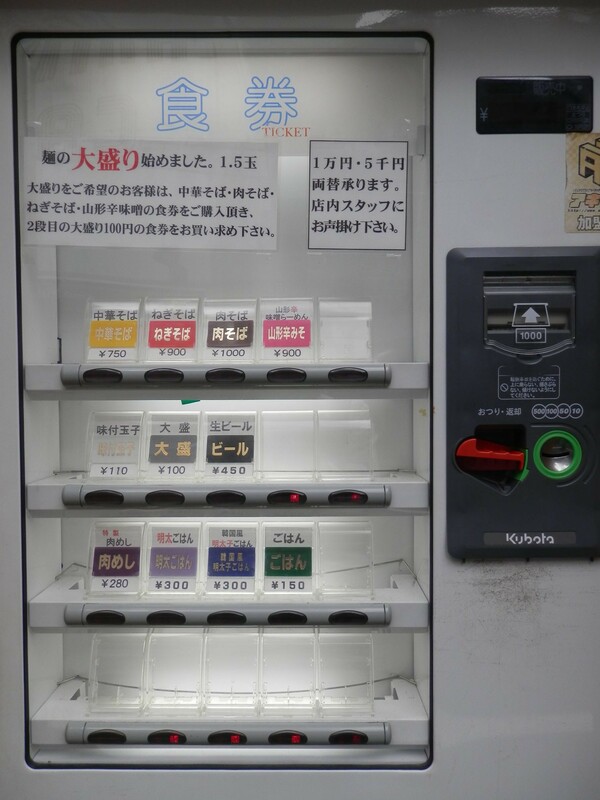 I found vending machine outside and bought a ticket for “Nikusoba(￥1,000) and went into the restaurant. When I passed the ticket to a person in charge, I was asked to choose rich or normal. I chose rich as recommended. 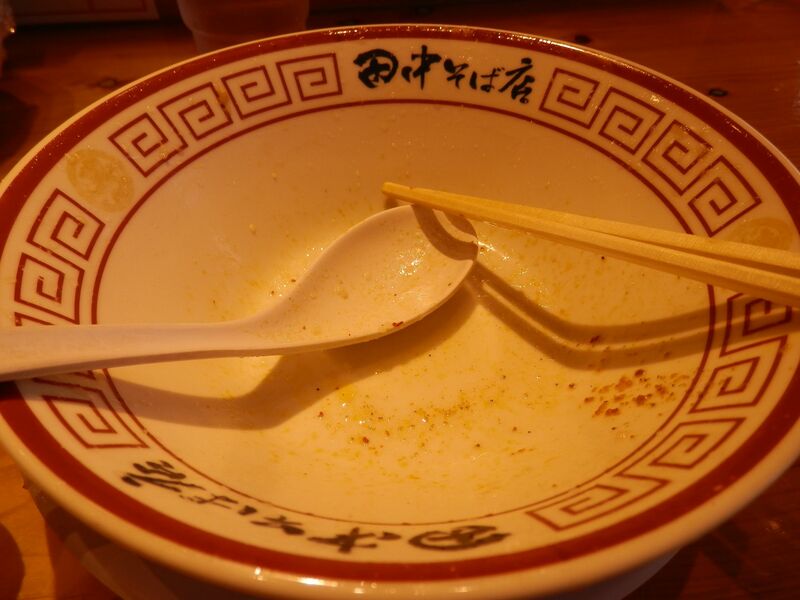 Here came ramen in 10 minutes. 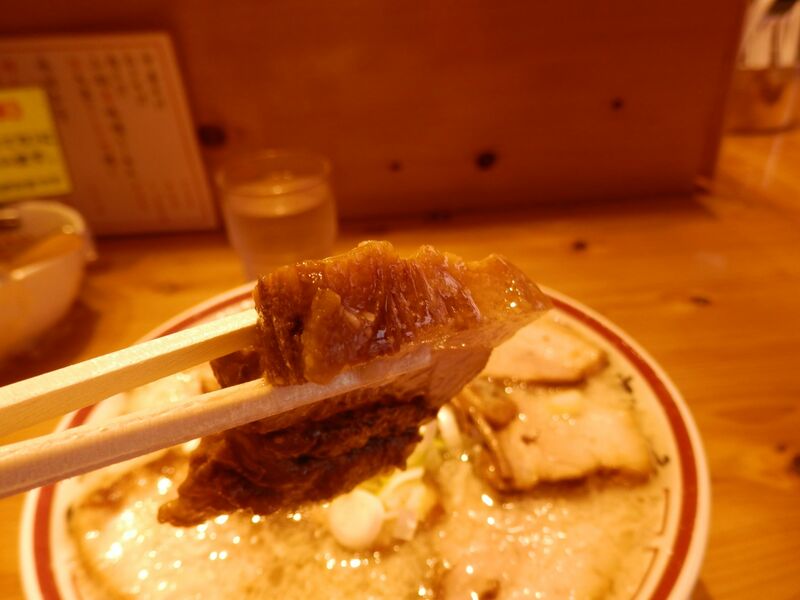 Pork loin fillet were full over ramen. 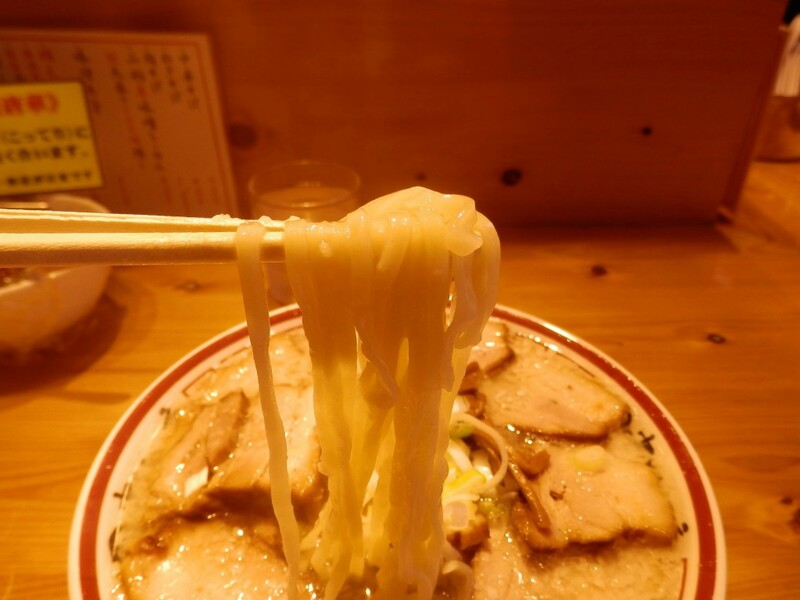 I first ate pork loin fillet to reach noodle. Thick Meat had good balance of lean and fat and matched soup well. Soup was not that heavy as it looked. A little bit salty soup was strangely soft and light taste. Flat wavy noodle were chewy and soft taste. 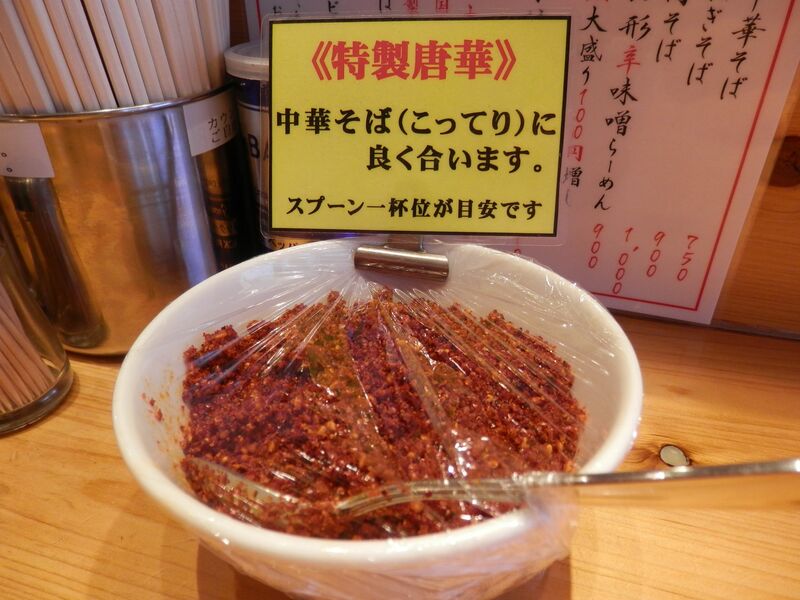 At the latter part, I put chilli into ramen, which made ramen a bit lighter. But be careful, it was very hot! !